I started this club because I could never see my female future in advertising. I could imagine it, but nearly all of the alumni examples were men. They were brilliant men, but they weren't women. Where were all the women? Where will I be in the future of advertising? 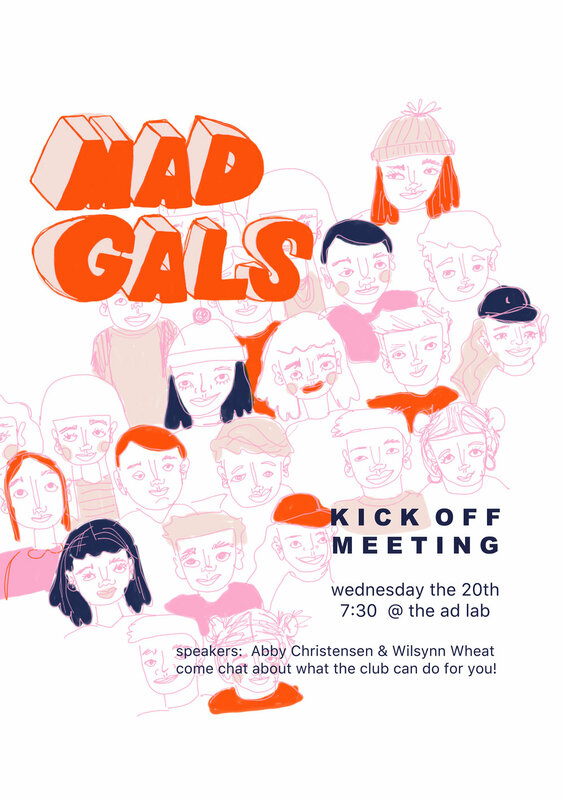 Since its beginning last semester, Mad Gals has featured more women speakers than ever before! 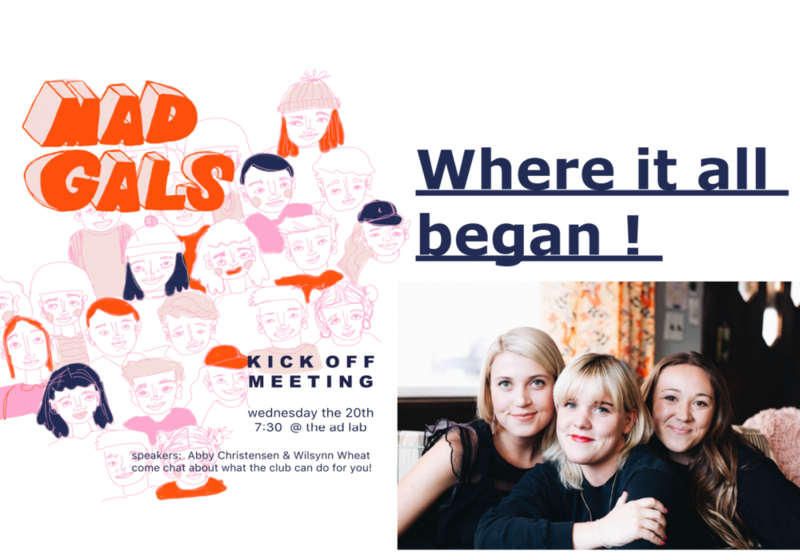 It’s created a space for the fantastic female creatives to feel both supported and championed. Much more to come in the new year! Also, an art gallery exhibit in February where both gals and guys can illustrate their interpretation of women in advertising. This gallery will also show individuals outside the advertising major the power of female creatives.